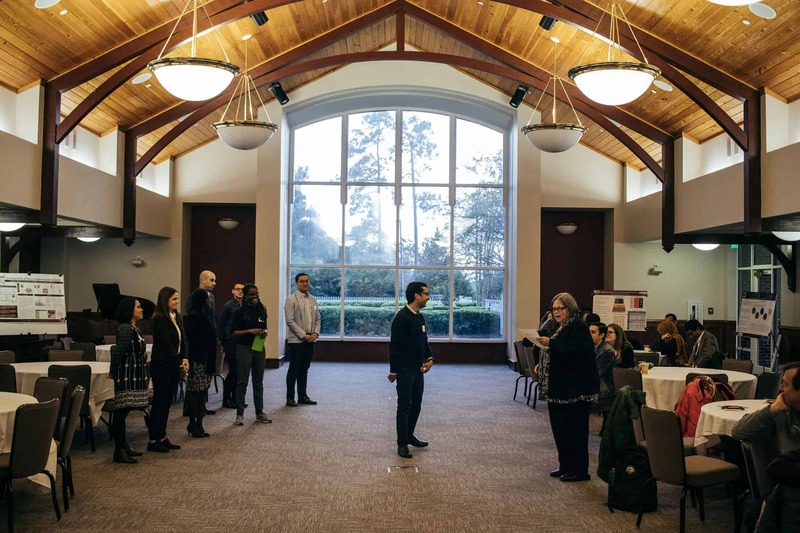 Over 46 College of Communication and Information doctoral students and faculty members gathered at FSU’s Alumni Center Ballroom for the annual Doctoral Student Research Presentation and Reception on November 28, 2018. 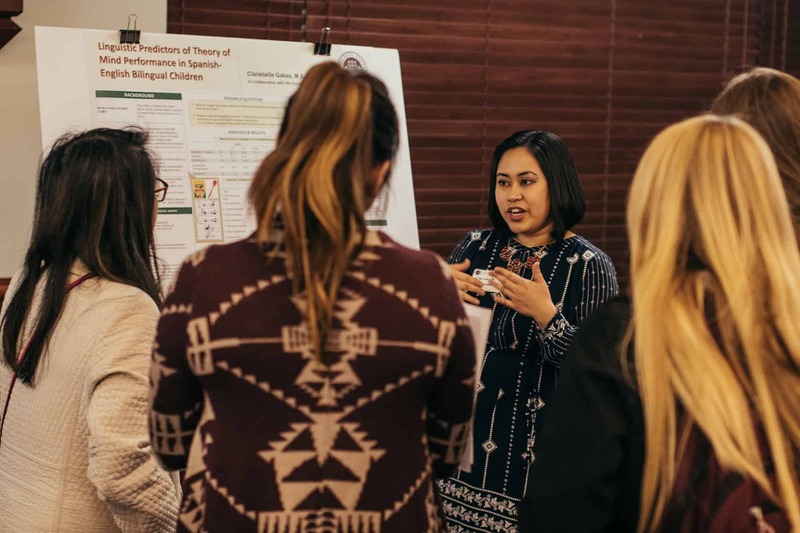 Twenty posters from the FSU’s School of Communication, School of Information, and School of Communication Science and Disorders competed for travel awards. 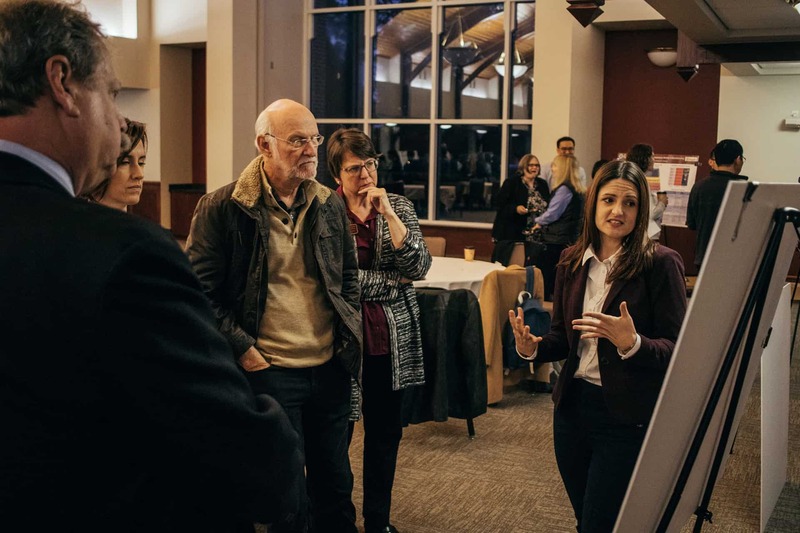 Judges from the three schools included Russell Clayton, Jaejin Lee, Steve McDowell, Besiki Stvila, Yolanda Rankin, Kelly Farquharson, Andrea Barton-Hulsey, Toby Macrae, and Erin Ingvalson. Posted in CCI Events, CCI Faculty News, CCI Home Page, CCI in the News, CCI News, CCI Research News, CCI Student News, Center for Hispanic Marketing Communication, Communication Science & Disorders, iSchool News, iSchool Research News, SCOM News, SCOM Research News, SCOM Students, SCSD News, SCSD Research News.